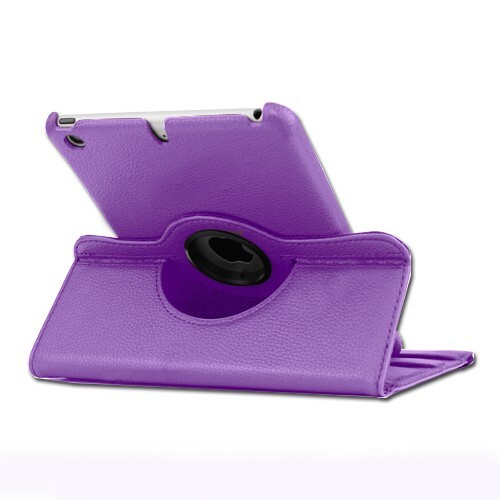 Especially designed for your iPad® mini, this Purple colored case attributes the factors - functionality and style simultaneously. 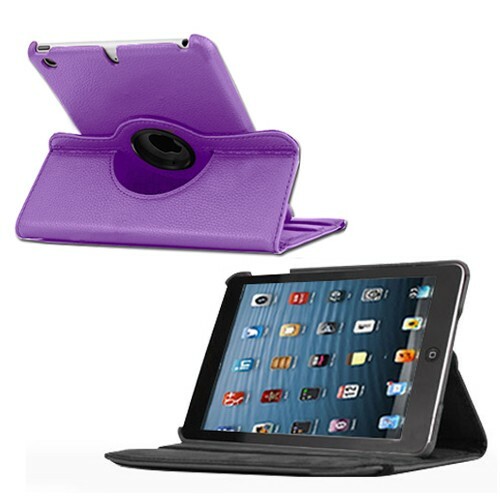 The premium quality PU Leather out of which the case is manufactured adds stylish and classy looks to your iPad® mini. The snap-on back hard case portion which holds the iPad® mini is made up of premium quality no scratch microfiber and it grasps the gadget without leaving any sort of scratches on it. You can conveniently rotate the iPad® into both Portrait and Landscape mode when in case. The in-built stand allows 2 convenient positions for the iPad® for easy typing, watching movies, gaming, presentations and normal internet surfing. 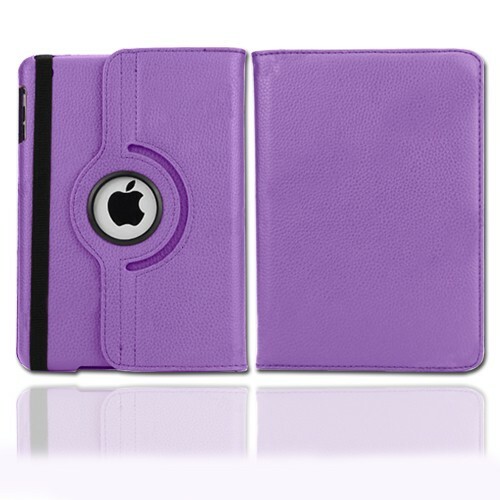 The unique design of this case lets the Apple® logo peep out to remind that you have an iPad® ! The upper flap portion of the case, apart from protecting the screen of the iPad® mini, actually acts as the Smart Cover for the it which puts it into the “sleep” mode when covering the screen else the iPad® in the uncovered state remains in the “wake up” mode. Overall this case provides an all-around protection along with a valuable addition of extreme awesome looks to your cute iPad® mini. Manufactured with high quality PU Leather which is soft and durable. Snap-on back hard case made of microfiber material holds your iPad® mini in a secured way. In-built stand with a cutout which displays the Apple® logo and also allows you to view media conveniently from 3 different angles. 360 degree rotatable with Swivel stands in both horizontal and vertical positions. Innovative Smart Cover flap attached to cover the screen which automatically puts the iPad® in “Sleep” mode when covered else puts it in the “Wake Up” mode when uncovered. Provides access to all the controls and camera without the removal of case. Provides all around protection from scratches, bumps, dust and other accidental damages. Elastic band closure front cover to ensure further more safety. Doesn’t leave marks on the iPad® post removal.